If you want to enjoy lifelong housing, an efficient home with smart provisions will be crucial. The city of Aalst built a test home that combines innovative processes and techniques with modern design inspired by the PRoF concepts. It also offers the unique possibility to experience future housing for people over 65 during a short stay. Living lab experts from iMinds are overseeing the flat's user experience research. The PRoF consortium is participating in the Pro DoMo test home, a project of Ageing in Place Aalst (AIPA), one of the Flemish Care Living Labs. We're all living longer lives, but population aging comes with high healthcare costs and an acute shortage of nursing home beds. At the same time, more and more elderly people want to postpone the switch to assisted living or a nursing home as long as possible. Living independently for longer in adapted housing offers the solution. But how 'adapted' does a house need to be and how does it keep meeting the changing needs and limitations of its aging residents? Ageing in Place Aalst (AIPA) researches exactly which infrastructural, social and societal conditions should be met to allow people to grow old in their own environment. As one of the six Flemish Care Living Labs, AIPA set up a testing and experimenting space or 'living lab' with an active role for its users. The home can be seen as a flat, but also as a grow-along home. The idea behind this is to keep an eye on the future when you build or renovate your home as a young family, making the necessary provisions to be able to adapt the house later on. The city of Aalst worked on the project with AIPA and a number of specialized companies. The vacant caretaker's house of the 'Pupillen' on the Graanmarkt was overhauled extensively. 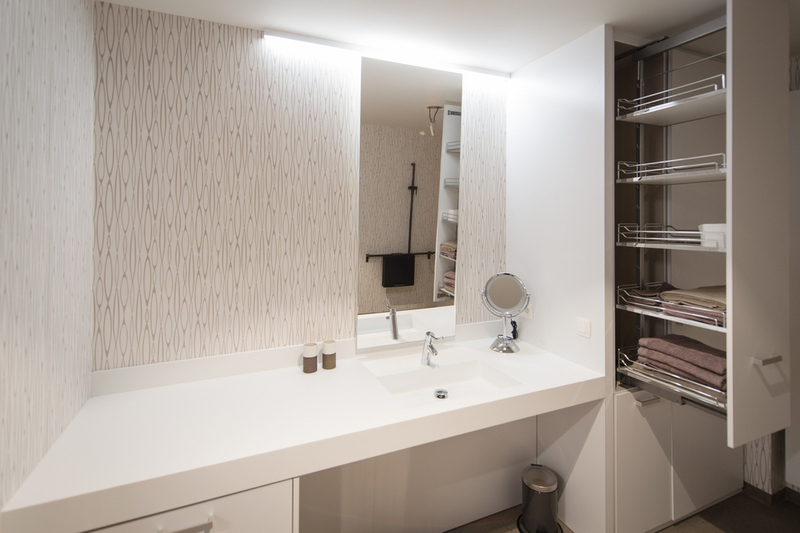 A lot of design attention went into accessibility: wide sliding doors, electrical outlets and a dishwasher at elbow height, functional and modular furniture, ... The bathroom was equipped with a walk-in shower with a seat and a toilet with an armrest. Antibacterial composite materials were used and the floor and wall coverings have slip-resistant zones in crucial places. There is no lack of technological innovations either. The test home is energy efficient and sports a state-of-the-art care and call system, home automation and innovative security. ​On November 25, 2015, the test home in Aalst was officially opened by Minister Muyters. Residents - who are (or want to become) members of the AIPA living lab panels - can come and experience this house of the future. 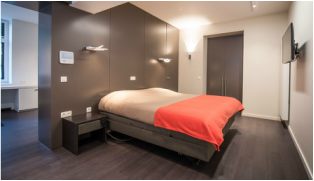 Unlike other demo or show houses, you can even stay the night, so you can experience first-hand how certain changes to the layout or design of your house can increase your independence as you get older. Living lab experts of iMinds Living Labs will oversee the research into the user experiences of the temporary residents and visitors of the test home.